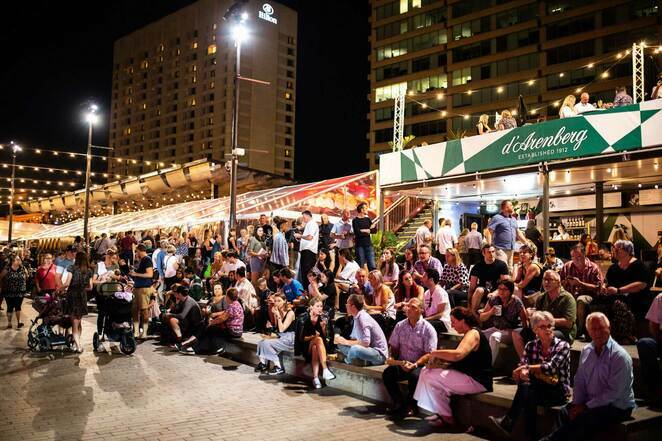 Tasting Australia is once again set to transform Victoria Square in 'Town Square', once again offering a jam packed series of events and amazing food and wine offers this Autumn. Pop up restaurant 'The Glasshouse Kitchen', with its rolling program of themed nights by the world's best chefs, is again the festivals glittering centrepiece. It's not cheap, but it is guaranteed to be unforgettable! The opening night event 'Of the Moment' will feature one-off dishes by the likes of Jock Zonfrillo (Orana), David Thompson (Aaharn), Darren Robertson (Three Blue Ducks) and Paul Carmichael (Momofuku Seiobo). All dishes will be made with produce sourced locally on the day by the chefs themselves. For families and foodies who just want to turn up and enjoy, the heart of the city becomes an all-day grazing mecca with small plates provided by a wide range of food vendors and bars. Come anytime, the square will be open to enjoy a snack, a feast or a share table. There'll also be plenty of live music to add to the vibe. The East End Cellars bars will provide the perfect drink to match with food as you enjoy the atmosphere in the crisp autumn air. 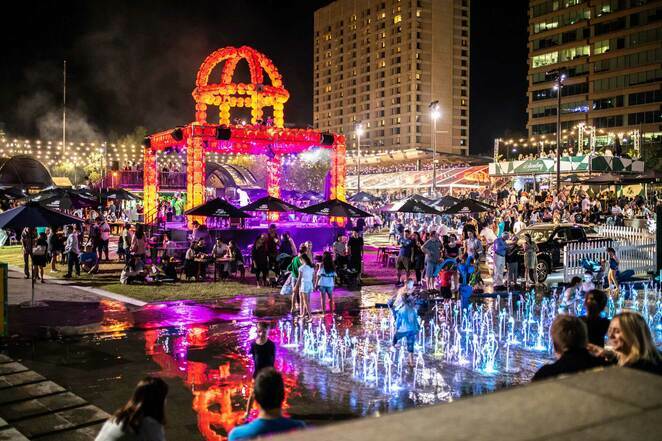 Town Square at Victoria Square is the nerve centre of the mighty Tasting Australia Festival which holds events all over Adelaide and South Australia from the 5th to the 14th April 2019. Opening times vary, check the details here. Can't wait for the festivities of Tasting Australia to begin.